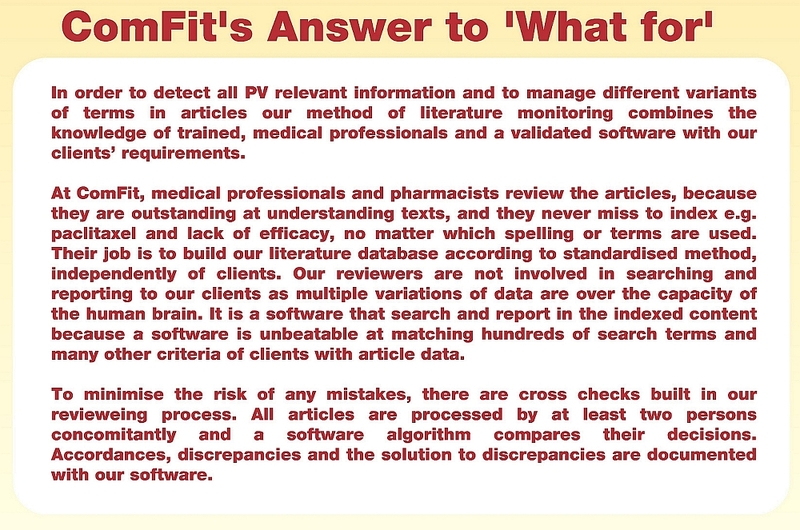 WHAT to search FOR in literature in terms of pharmacovigilance - ComFit Europe Ltd. The obligation of literature monitoring for the purpose of pharmacovigilance appears in various topics in GVP. Have a look at the image – this is how we see the relations of the obligation with highlight on the references in GVP. This post is the first in a series. 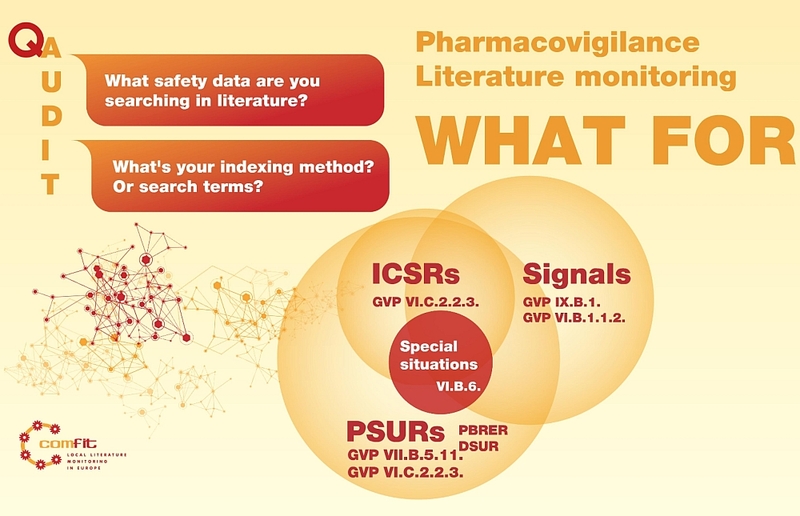 We believe that answering basic questions on search in literature – what for, which drugs, where, when, which journals, how – can guide us in building an effective literature monitoring system in compliance with GVP. In our blog, we are going to zoom into seven questions and share our experience how we have successfully answered them at ComFit. Stay tuned!